Every year, there comes a period when the whole world of travel and tourism is agitated to its peak. Clients and sponsors want to see their profits in all respects. Our people have abundance of experience. Every year, there comes a period when the whole world of travel and tourism is agitated to its peak. Clients and sponsors want to see their profits in all respects. Our people have abundance of experience in air, rail, ship and cruise transport, freight logistics and hospitality. Event management services for clients bounded with one travelling host while taking into account commercial considerations & timeframe with high level of communication and support. Our experts are skilled in analyzing business needs, streamlining business process and maximizing competitive advantage that our clients seek for. 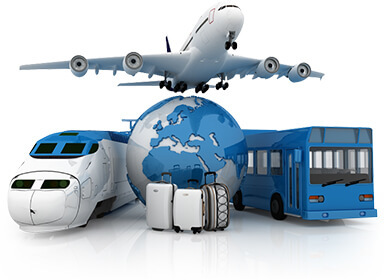 Companies operating in the travel and hotels industry face a major challenge aimed at promoting their products and services profitably to generate a bigger sales volume and to be more competitive and efficient within this environment 2.0. Analysis in detail of the customers' behavior to offer them a customized and top-quality service and to increase conversion. Global business view, integrating web and transactional data. Integrated marketing campaigns management in order to improve efficiency. Anticipating to business opportunities: best product to recommend, cross and up selling, etc.